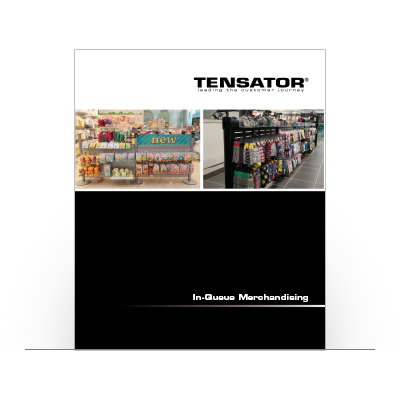 In-Queue Merchandising (IQM™) from Tensator is a highly adaptable, modular, point of purchase system specifically designed for placement in front of the point of sale to capture last minute impulse purchase revenues from waiting customers. The system is completely customisable to any environment and branding requirements, and will create immediate return of investment. 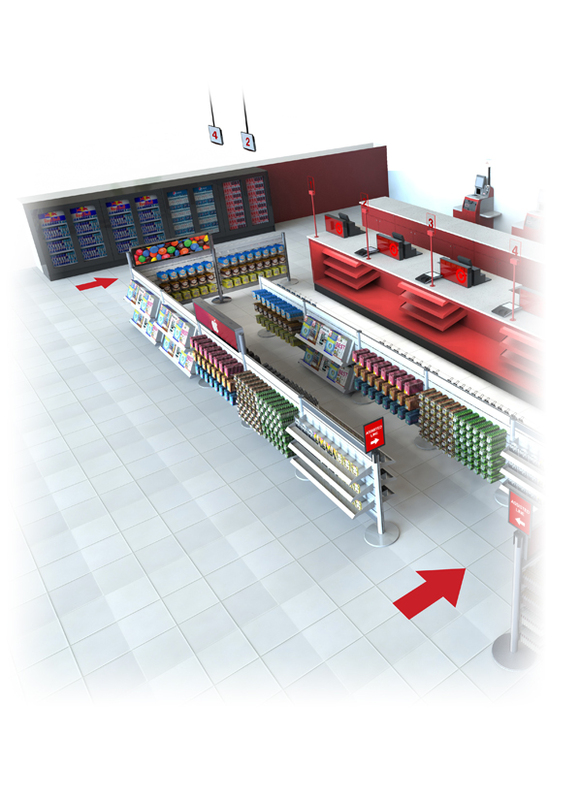 IQM™ has been specifically engineered by our experienced retail designers to take up no more ﬂoor space than a conventional queue management system; IQM™ transforms previously wasted or dead queuing space into valuable retail space. Tensator® offers a cost-effective, full design consultancy service in-house as part of its “one stop shop” approach, removing the need for expensive third-party design agencies. Our In-Queue Merchandising system has an extensive range of components to fully customise to your queue requirements. A well designed queue system can provide better navigation for customers to checkouts, and reduce wait times with an eQ™ call forward system. Customers queuing are a captive audience therefore can this provide more revenue through impulse purchases. it can be a distraction to reduce customer frustration and keep customers engaged. 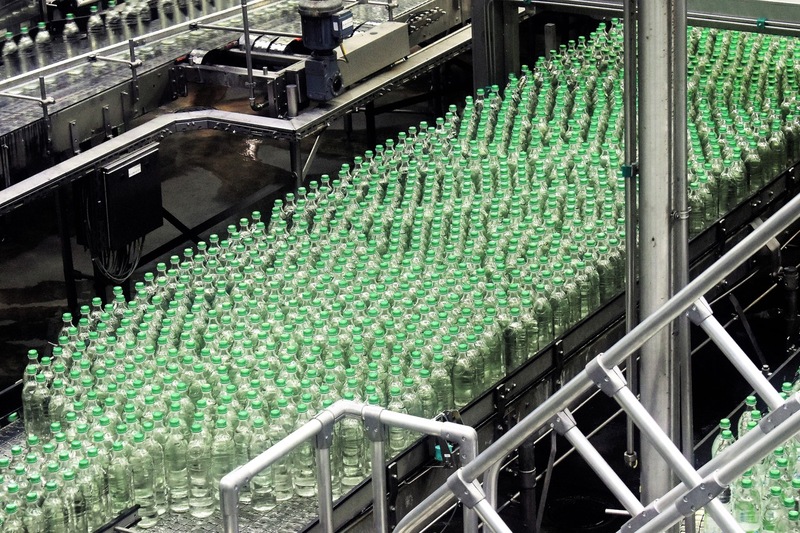 Queueing customers are a captive audience, therefore grouped with our comprehensive In-Queue Merchandising systems our clients see a substantial boost in impulse purchases. By encapsulating customers through correct queue management, improving queue wait, speed and providing distractions with merchandise and media, we have been able to almost eradicate walkaways and increase revenue. With the utilisation of electronic signage within your queue system, customers are directed the right way through you queue flow and are served much quicker than in other queue forms. Get more information on how our In-Queue Merchandising systems work and what options are available. Take a look into how Tensator helped Dunkin’ Donuts improve their queue and increase revenue with In-Queue Merchandising.